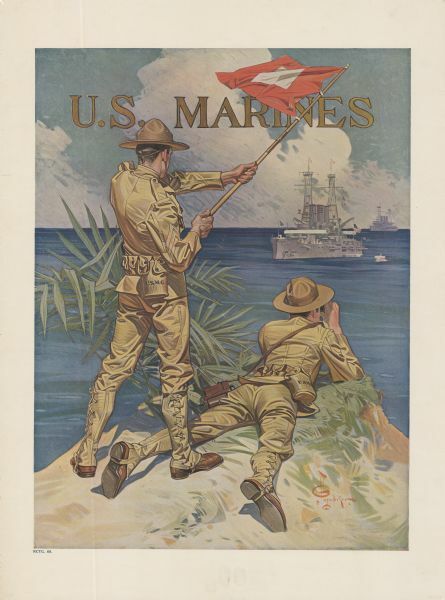 Poster featuring an illustration of two marine corpsmen on a shoreline. One Marine is standing and signaling with a signal flag to two battleships just off the shoreline, and the other Marine is lying on the ground looking through binoculars towards the battleships. Illustration signed by Joseph Christian Leyendecker. Number below illustration on left: RCTG. 69.